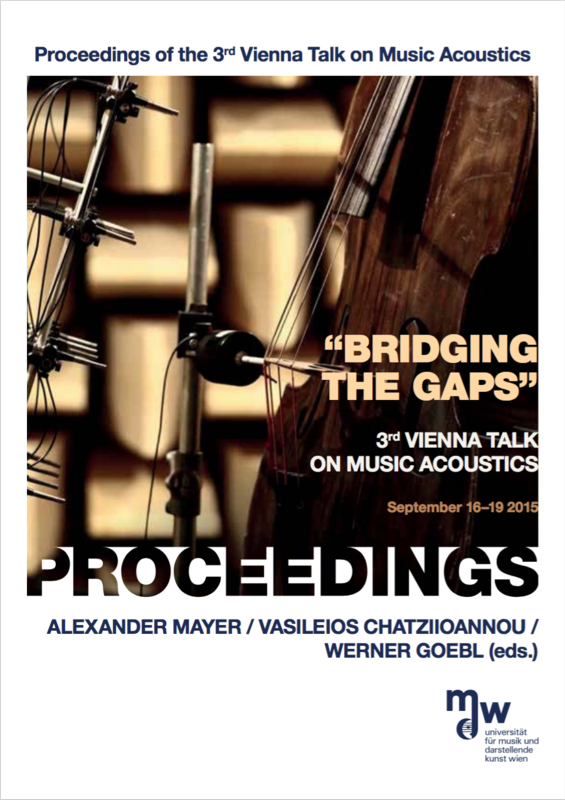 On the occasion of the 35th anniversary of the Institute of Music Acoustics (Wiener Klangstil) of the University of Music and Performing Arts Vienna‚ we invitde researchers, instrument makers, and musicians to the Third Vienna Talk on Music Acoustics. Watch the Vienna Talk keynote presentations at the mdw media platform. Go to the Vienna Talk 2015 proceedings page.